Codilar - proud sponsors of Meet Magento India Conference 2018! 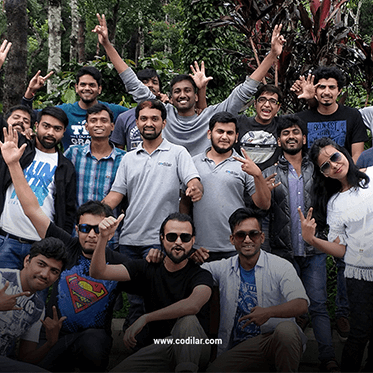 Codilar – proud sponsors of Meet Magento India Conference 2018! The event would be blessed by the presence of speakers from different parts of the world coming together to talk about Magento, its growth, and its importance. Some of the speakers who would be presenting their ideas in the conference are Mark Lenhard, Ben Marks, Anupam Pahuja, Vinai Kopp, Miguel Balparda, Deryck Harlick, David Manners, Jeries Eadeh among many other remarkable personalities. Our Tech Architect of AI Dr. G. Ananthakrishnan is one of the speakers at the conference. Having more than 30 publications and 3 patents to his credit, he has a Ph.D. in Computer Science, in the field of Speech Communication and Artificial intelligence. He also has a major contribution to Samsung's Bixby Voice Assistant. It is a great opportunity for us to be a part of the biggest Magento event of the country. It gives a fair chance to the sponsors to put their business under the spotlight in the world of Magento. The audience is interested and eager to listen to the company and understand about its offerings; hence business pitches can derive great results at the meet Magento Conference. Getting the expert's point of view on your products, services or the company, in general, is an added advantage of sponsoring such major and high scale Magento events. The event will provide an international exposure to monitor and know more about current Magento and e-commerce trends worldwide. It provides a great platform to build international contacts and widen your professional network. Tables would be open for sharing and discussing ideas and knowledge with e-commerce experts and business decision makers. Codilar takes pride in being a sponsor of the first such event in India and making it the first of many to come! Waterfalls, Volley and a whole lot of team building!